Once upon a sewing time, I shared a free pattern on my blog called the Garden Party Dress. Nearly four years later I am still in awe of all the beautiful versions from around the world that have popped up on the internet - Esta, All Wrapped Up, Modern Foodie, Tone, Antipodean Stitcher, to name a few. It was a big thrill. The idea of sharing sewing patterns online came to me back in 2009, spurred by a period of change in my life and when the online sewing community was still relatively new. Even back then, there were so many fantastic bloggers who I admired and a few really fabulous pioneers - remember The Selfish Seamstress (please come back!) and her famous Coffee Date Dress, that took the sewing community by storm? Grosgrain (still going strong) was shaking up the blossoming blogging/sewing community with her fabulous "Frock by Friday" concept and wowing us with her Thrift Store Thursday refashions. 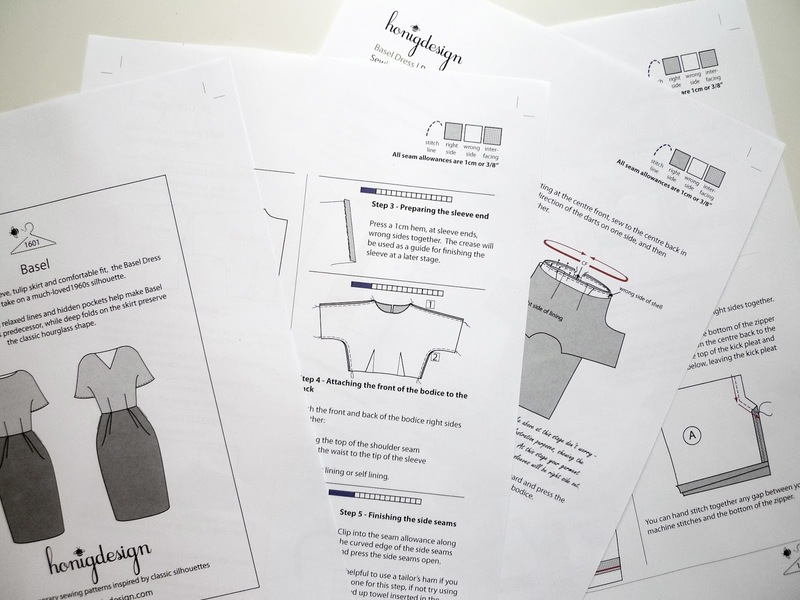 It was around then, starting out as a business analyst - but with my head in my sewing cloud - that I had an 'a-ha' moment - Why not try to sell my own sewing patterns over the internet? I loved designing my own patterns, but with so many amazing makers out there (who were incredibly talented, funny and dedicated bloggers) I didn't feel ready to turn my hobby into 'pattern designer' territory. I mean, this is Burda country, right? So, for fun and some reality checking, I started taking short courses at fashion colleges here in London, absorbing every moment of exploration, creativity and instruction like a sponge and, with a deep breath, shared the Garden Party Dress. This was a self-drafted and professionally graded pattern, but as it was based on my own measurements, untested by anyone else and with minimal instruction, I shared it for free. I was humbled by the warm response, and I continue to be. Thank you all for your encouragement, not just for the Garden Party Dress but for everything I've posted. As life happens, blogging (and any potential business planning time) has often had to take the back seat, and I can barely believe that I'm sitting here four years later (thanks to everyone who has kept me on your blog reader!) During that time however, a wonderful thing happened. It seems a lot of sewers were having the same 'a-ha' moment as me, and Indie patterns have flourished at an incredible pace. The whole sewing community is thriving and stronger than ever. By Hand London, Deer & Doe, Republique du Chiffon, Closet Case Files, Schneidernmeistern, Pauline Alice, and too many others to mention, are all rocking the sewing world with so many different styles to choose from. 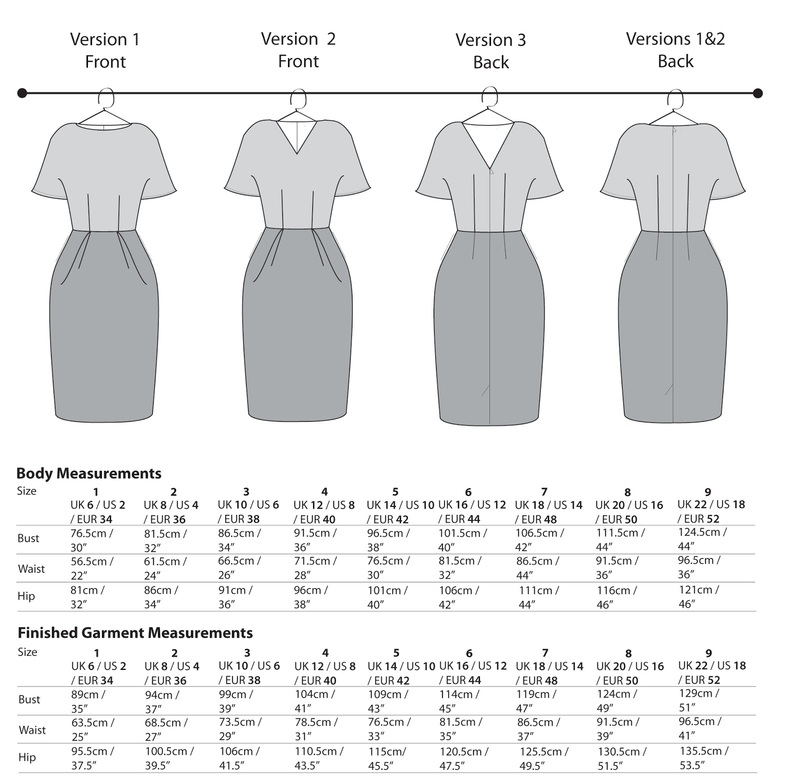 So, here it goes - I'm throwing my frock in the ring with honigdesign patterns as my contribution to the sewing world. I hope you like it. My take is contemporary sewing patterns based on classic silhouettes. 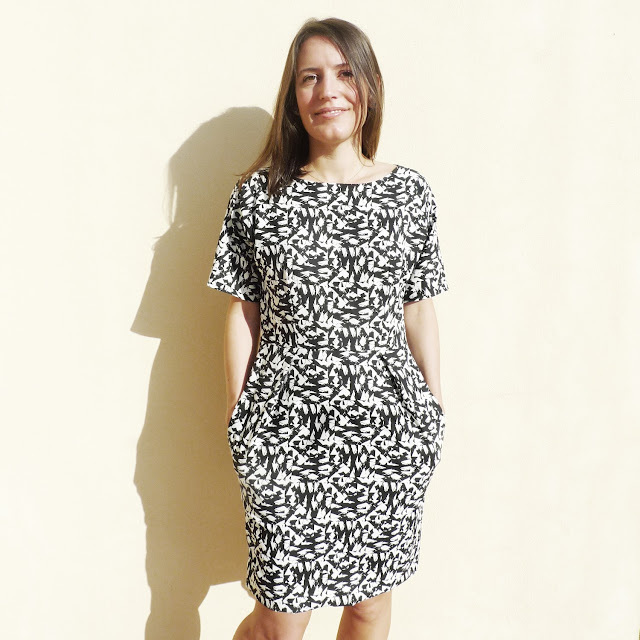 You can find my shop on Etsy, and my first pattern - the Basel Dress is available now. (It's 25% off with the code honigdesignpatterns until midnight Monday UK time). It's been tested by fabulous pattern testers and I can't wait to share some of their versions with you soon. Here are some pics of Basel - a pattern I've made time and again - and you may have seen it on my blog before here and here. With an airy kimono sleeve, tulip skirt and comfortable fit, the Basel Dress is a modern take on a much-loved early 1960s silhouette. It has three variations. Simple construction, easy lines and hidden pockets help make Basel more relaxed than its predecessor, while deep folds on the skirt preserve the classic hourglass shape. Thanks everyone for listening! I hope to see you on Monday with the first tutorial. Until then, happy stitching! Congratulations on your pattern release! Love the dress - might have to make that, as I'm looking for some "pretty but casual" dresses to wear at work. Thank you Elisabeth! Please let me know if you do! Super cute! Congratulations on your new line! I wish you the best of luck! Your Garden Party Dress holds a special place in my heart, because it was one of the first garments I ever sewed. That's great, congratulations and best of luck for this project :-) The dress is very pretty and I am sure this will be a success! I came over from AllieJ's blog...Her dress is so pretty! Congrats on your new/first pattern! Thank you so much for mentioning me and my patterns. I wish you the best of luck with your work and that beautiful Garden Party Dress.